Ahead of the release of the latest World of Warcraft expansion, Battle for Azeroth, we’ve been lucky enough to get a look at the physical collector’s edition. You can check out a full unboxing video at the bottom of this article. As you’d expect, the Collector’s Edition comes with a game key, but that also offers you some in-game bonuses across Blizzard’s game anthology. As well as World of Warcraft mounts (and a Tortollan pet) for the MMO, there are bonuses available for Overwatch, Hearthstone, and Heroes of the Storm players, from sprays and voice lines to banners and card backs. There’s also a soundtrack key, allowing you to download the music of Battle for Azeroth, as well as a few more physical gifts. Most impressive of those is a hardback novella, detailing the Burning of Teldrassil. 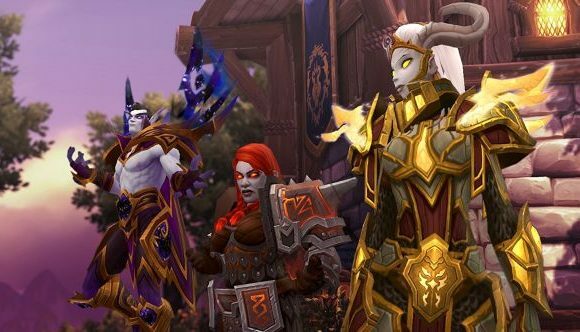 Whatever you make of World of Warcraft’s latest controversy, there’s a viewpoint to suit your side of the argument, as both Alliance and Horde get to tell their version of the story in the two-part book. Finally, there’s a decorative medallion, again featuring the symbols of both the Horde and Alliance. That comes with a stand, allowing you to display your allegiance to the world (should you so choose). The Battle for Azeroth release date is August 14. As promised, you can check out an unboxing of the expansion’s Collector’s Edition in the video above.